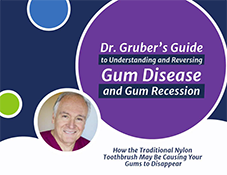 Dr. Jack Gruber DDS, the creator of the PeriClean Toothbrush for sensitive teeth and receding gums, discusses how to have whiter teeth and healthy tooth enamel. ‘Tis the season to be…whitening. The holidays are around the corner, meaning you’ll be attending more gatherings and reuniting with old family and friends. Transform your yellowing teeth into pearly whites in time for your next holiday party. Extrinsic Discoloration: The outer-most layer of your tooth – the enamel – can be stained by various foods and drinks, such as fruits like blueberries and cherries and coffee, wine and soda. Smoking also causes the enamel to yellow. Intrinsic Discoloration: The dentin, or inner structure of your tooth, gets darker or comes to have a yellow tint. Intrinsic discoloration can occur for a variety of reasons, such as excess exposure to fluoride in early childhood, use of tetracycline antibiotics at age 8 or younger, or trauma that affected a tooth when you were a child. This type of discoloration can also be apparent if a permanent tooth was discolored by internal bleeding or if you were born with a condition called dentinogenesis imperfecta, which causes gray, amber or purple discolorations. Age-related discoloration: Over time, enamel gets thinner, allowing the naturally yellowing dentin to show through. With age, prolonged exposure to certain foods and smoking will inevitably stain teeth. While both extrinsic and intrinsic stains are removable, intrinsic stains may be more difficult and take a longer period of time to remove. Here are five tips to help you maintain your pearly white smile. As soon as you finish eating, dental plaque begins to release harmful acids that erode your enamel. Brushing after every meal will help prevent stains from setting in. You can even rinse your mouth with water after having drinks or food that can stain your teeth, such as wine or coffee. Extrinsic stains caused by drinks or food can be curbed with regular flossing. This helps manage tartar buildup. When you have tartar buildup, the various foods and drinks we consume can attach itself to the buildup, causing the stains more easily. Toothpastes with whitening agents can remove minor stains, but the overall color of your teeth will remain the same. You can also use a bleaching gel. Keep in mind that the ones provided over the counter are not as powerful as the ones used by the dentist. Instead of having sugary snacks, opt for smarter snacks that won’t stain your teeth, including carrots, broccoli or nuts. Keep in mind that while coffee and wine stain teeth, there is no harder stain to remove than the ones from drinking tea. Visit your dentist every six months for an exam and cleaning. If you’re unhappy with the way your smile looks, you may want to discuss power bleaching with your dentist. Power bleaching involves a light-activated bleaching gel that causes teeth to whiten in 30 to 45 minutes. If your tooth appears darker after a root canal, bleaching won’t help and your dentist may recommend getting a crown or veneer. Use these five tips to help you increase your confidence with a whiter, brighter smile—and remember that taking good care of your oral health affects your overall health. If your smile is not as bright as it used to be, you may be feeling a lot less confident. Yellow teeth can be a blow to your self-esteem and make you want to hide your smile. It can lead to a person being less social or outgoing and overall living a less fulfilling life. If you once had a pearly white smile, but no longer do, there is probably something that has changed in your routine. There are many reasons why your teeth are becoming more yellow. Luckily, there are solutions for helping you regain a whiter, healthier smile. So, what are the common causes of yellow teeth? Smoking- Smoking is a terrible habit that not only harms the organs in your body, but can also cause yellow teeth. Smoking stains the teeth and the stains are tough to remove. If a smoker wants to reverse the effects smoking has done to their teeth, quitting is the first step. Brushing correctly two times a day as well as a daily flossing routine can work wonders on a smokers teeth after they kick the habit. Certain Foods and Beverages – Coffee is one of the most damaging drinks to the color of your teeth. When a hot liquid comes in contact with your teeth, it can cause micro fractures along the tooth’s surface. This will reveal the yellow layer beneath the whiter layer of the teeth. Soda is also a danger to your white teeth due to the fact that the acids in soda eat away on the enamel. Using a straw can reduce the amount of soda that touches your teeth. Berries- Berries are naturally dark in color. Combined with the sugars found in the berry, yellowing can easily occur over time. A leading cause of yellowing teeth, however, may not be as obvious as you think. Did you know yellowing teeth and your brushing habits go hand in hand? If you find yourself slacking in the oral hygiene department, you are not alone. The good news is that there is something you can do to reverse the effects bad mouth maintenance has done to your teeth. Take your time– Don’t be in a hurry to brush your teeth. Take your time to ensure that is done correctly every day, twice a day. Try not to be too abrasive when you brush, as this can lead to a receding gum line. Floss Daily- Remove food and particles in between your teeth. Mouth Rinse– Find a good mouth rinse that kills bacteria and helps to strengthen the enamel. So, there you go – a few tips that you can start using today to stop and reverse the yellowing of your teeth. Good luck! Your teeth may become yellow (or another color) due to staining on the surface or changes within the structure of the tooth. Extrinsic Tooth Discoloration – The enamel of your tooth is as thin as an eggshell. By brushing too hard, you may cause erosion of the enamel. The tooth and enamel may be stained by food and by drinks, such as coffee, tea, wine and cola. Smoking tobacco may also cause yellowing and discoloration. Brushing too hard with a standard toothbrush. Rarely, a child is born with dentinogenesis imperfecta, which causes gray, amber or purple tooth discoloration. Age-Related Tooth Discoloration – The tooth’s internal structure (dentin) begins to yellow and enamel becomes thinner naturally through aging. Over time, the processes of extrinsic and intrinsic discoloration combine, so that the dentin shows through the enamel, producing the appearance of yellow teeth. Smoking and drinking liquids that stain the teeth exacerbate the discoloration process. Any chips or damage to the teeth can also lead to yellowing teeth through the years, especially if the pulp of the tooth is damaged. Yellow teeth and discoloration occur in unpredictable ways. Perhaps someone may experience staining on only one tooth where the enamel has been worn down more. Others may experience white streaks to yellow tinting, or brown spots and pits across several teeth. The severity of the tooth discoloration varies. Discoloration of the teeth does not typically lead to pain or discomfort. In some cases ,when the enamel of the tooth has worn away and the structure of the tooth changes (such as with trauma), a person may experience sensitivity, similar to areas where gums recession exposes the root of the tooth. The sensitivity, pain and discomfort of gum recession are separate symptoms and are not directly related to the discoloration of the teeth. Before undertaking treatment for yellow or discolored teeth, it’s best to determine why teeth are becoming yellow or discolored. 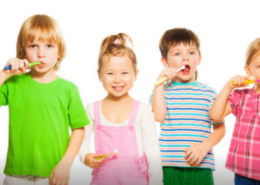 Treatment will be more effective when understood in the context of daily brushing and diet. Many dentists offer professional whitening services to address the extrinsic tooth discoloration caused by coffee or tobacco. Several treatments are available as over the counter products, such as bleaching gels, other types of whitening agents and toothpastes. In some cases, a crown or veneer may be recommended for particularly bad tooth discoloration. It’s best to consult with your dentist to learn which option is the best for your teeth. Because the natural enamel protecting the tooth is as thin as an eggshell, brushing too hard with a standard toothbrush can erode the surface and make the tooth vulnerable to yellowing and discoloration. The PeriClean ultra-soft specialty toothbrush effectively cleans teeth, without damaging the enamel, helping your teeth to retain their natural white color. Many people are self-conscious that their teeth are yellow or discolored. You can whiten your teeth and be proud of your teeth and your smile when you make a few simple changes in your diet and dental care. Many common foods and drinks contain natural and artificial dyes or coloring, such as coffee, cola drinks, red wine, black tea, cigarettes and cigars. Consuming them contributes to stains on teeth. When you moderate your intake of these drinks or decrease your smoking habit, you will see a difference. Also, you may brush after eating or drinking foods that cause stains. Plus, a dental bleaching agent can be applied to your teeth. A variety of firm, crisp foods have a natural cleaning effect on your teeth and gums. Apples (nature’s own toothbrush), raw carrots, celery and even popcorn can help whiten your teeth. If you will not brush your teeth right after you eat, detergent foods are a great follow up to a meal. 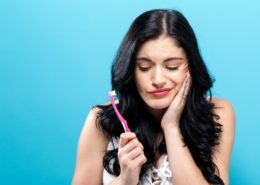 You may be brushing too hard and that doesn’t produce whiter teeth. Instead, aggressive brushing wears down the tooth’s enamel, which reveals the yellowish dentin within your teeth. Use an ultra-soft toothbrush that won’t abrade the enamel or hurt the gum line. You may not be aware that your tongue houses bacteria and plaque that can lead to tooth discoloration. Use your toothbrush or a tongue scraper to clean your tongue every morning. This scrapes off excess plaque that built up overnight and helps freshen your breath. Another natural stain remover for teeth is apple cider vinegar. Use it to gargle and it will contribute to killing germs in your mouth. Incorporating some of these tips for your diet and dental care will help you achieve whiter teeth over time. Your teeth begin to turn yellow and become discolored for a variety of reasons. In many cases, yellowing of the teeth is due to staining of the enamel and the accumulation of plaque on the teeth due to poor hygiene. Extrinsic yellowing of the teeth has to do with the exterior of the teeth and is caused by staining from coffee, cola, tobacco and other foods. Intrinsic teeth yellowing results from internal changes in the structure of the teeth. For example, aggressive brushing may wear away the enamel, which is eggshell thin. As the enamel thins out, the dentin inside the tooth can darken and take on a yellow tint. Additional causes include over-exposure to high amounts of fluoride during childhood; tetracycline antibiotics used during pregnancy or as a child; physical trauma that inhibits the development and restoration of enamel on the teeth. Age-related yellowing of the teeth is extremely common, as the dentin within each tooth naturally begins to yellow over time. As we age, the enamel becomes thinner and this makes the deeper-tinted dentin more visible, creating the appearance of yellowing teeth. There is no set pattern for the onset and progression of yellow teeth. It may result in one or two teeth begin to yellow while a family member experiences a different degree of yellowing. The entire tooth may not discolor in the traditional sense, either. Some teeth may exhibit spotting, pitting, or streaks of white or yellow. The pattern and severity vary due to the structure of the mouth, oral hygiene habits, diet, presence of bacteria, use of medications and antibiotics. Yellow teeth do not typically cause pain and discomfort, beyond self-consciousness of a less attractive appearance. The staining and discoloration are a visible symbol that the teeth need attention. 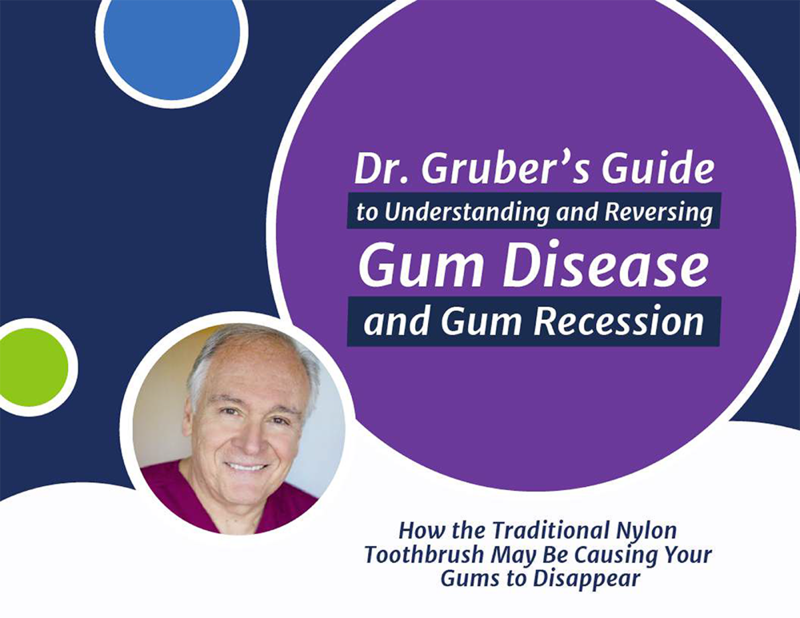 If left unchecked, however, the accumulation of plaque and tartar, plus the growth of bacteria along the gum line, will lead to gum disease and loss of enamel. This process often results in brittle teeth, pain while chewing, sensitive teeth and gums, oral infections and other health problems. There are several options to treat the discoloration of teeth and restore a whiter smile, starting with a professional cleaning or whitening with a dentist. Dental bleaching gels and strips that whiten teeth for use at home are readily available in most retail locations. Professional surgery or a more direct approach may be required to fix oral issues that are causing the discoloration. 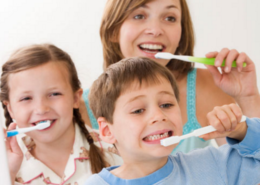 If oral health habits are the primary cause, you can improve your home dental care. Use an ultra-soft toothbrush to clean and whiten teeth, like the PeriClean. A gentle cleaning will remove the plaque and also protect the enamel when you brush. Keeping the enamel, which is as thin as an eggshell, will significantly reduce the yellowing of the teeth. Also, take note of your diet and eliminate or at least reduce consuming items things that stain your teeth. Of course, schedule a dental cleaning and examination to ensure your smile is a healthy one.